ADVOCATE VEERJI KOLHI WAS VISITED IN HIS HOME AT 8PM ON 6 JUNE 2014 BY THE LANDLORDS WHO ARE INVOLVED IN THE CASE OF THE 72 VICTIMS OF BONDED LABOR. 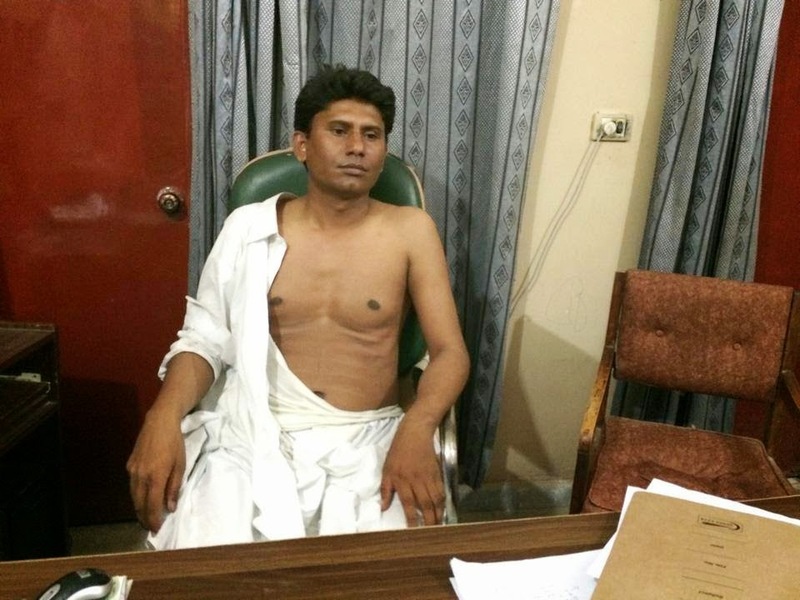 THEY ATTACKED HIS HOME DEMANDING THAT ADVOCATE VEERJI KOLHI GO OUTSIDE HIS HOME AND GET INTO THEIR CAR. FORTUNATELY VILLAGERS AND OTHER FRIENDS NOTICED WHAT WAS GOING ON AND OBSERVED THESE LANDLORDS AND THEIR MEN ATTEMPTING TO ABDUCT ADVOCATE VEERJI KOLHI. HIS LIFE IS CURRENTLY IN SERIOUS DANGER AS A RESULT OF ADVOCATING FOR THE 72 VICTIMS OF BONDED LABOR. HE AS WELL AS THE 72 VICTIMS HAVE RECEIVED NUMEROUS DEATH THREATS AS A RESULT OF THIS CASE SHOULD THEY ATTEMPT TO MOVE FROM THEIR CURRENT LOCATION IN THE FOOTPATH IN FRONT OF THE HYDERABAD PRESS CLUB. ALL OF THEM WERE THREATENED WITH OPEN FIRE IF THEY ATTEMPT TO MOVE TO A DIFFERENT LOCATION. ADVOCATE VEERJI KOLHI IS CURRENTLY UNDER DEATH THREATS FOR SPEAKING FOR HINDUS IN SINDH AND ADVOCATING THEIR CASES. FIR NO 75/2014 UNDER SECTIONS 365,511, 452,506 HAS BEEN FILED AGAINST LAIQAT S/O ZUBAIR SEHTO, AZAAM S/O ASHRAF NOHANI & 4 NAMALOM LOG FOR ATTEMPTED ABDUCTION AND TRESSPASSING THE PREMISES OF ADVOCATE VEERJI KOLHI. Date and time of Occurrence: 06/07/2014 at 2030 hours. (3) Brief Description of Offence with Section & if Property Carried off, if any : 365, 511, 452, 506-PPC. (4) Place of Occurrence and Distance and Direction from the Police Station: House of Complainant, from Police Station to Southern side, distance about 3 Kilo Meter. (5) Steps taken regarding Investigation and Explanation of Delay in Recording Information: Investigation starts. (6) Date and Time of Departure from Police Station: At once. First Information to be recorded below and authenticated by the signature, mark or thumb impression or the informant and attested by signature of Officer recording it. It is reported that I live at the above mentioned address, and practice as a junior advocate with Raja Hans Raj Naurang Advocate. 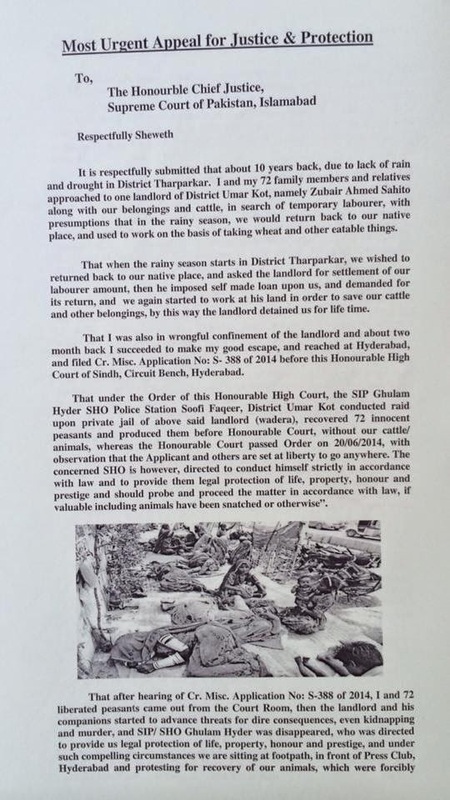 On 20/06/2014, by the Order of Honourable High Court of Sindh, Hyderabad, we got released 72 peasants from the private jail of feudal Zubair Ahmed Sahito S/o Muhammad Saleh Sahito of Umar Kot, who are protesting at the Footpath of Press Club, Hyderabad, for the last 17 days, for recovery of their animals. From the day of liberation of the peasants, namely Liaqat Ali Sahito, the son of landlord Zubair Ahmed Sahito and his companion Azam Nohani are advancing threats that you have committed our insult by getting release the peasants. 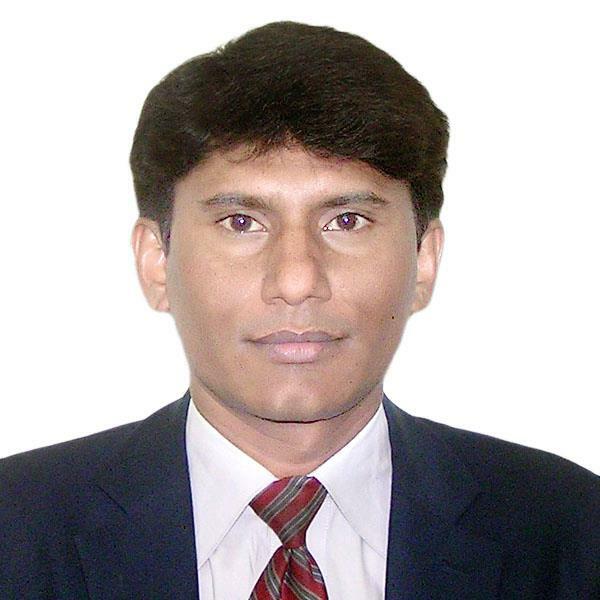 Today on 06/07/2014 at 08:30 P.M. I was present at my house, then door of my house was knocked, I opened the door and saw that namely Azam S/o Ashraf, by caste Nohani, R/o Digri who had pistol in his hand, Liaquat Sahito S/o Zubair Ahmed Sahito, R/o Umar Kot, who had pistol in his hand and 4 unknown accused duly armed were standing at the door. While I opened the door, they started to drag/ pull me outside the house, I ran inside the house, they all were entered into my house and caught me, dragged me and brought me outside the house, and tried to sit me in Cultus Car No: AVM- 742 forcibly, with intent to kidnap me. I made hues and cries, then Dewan S/o Jesso Kohli, Khengo S/o Jeewano Kohli, Damro S/o Umro Kohli came running and due to their intervention the accused persons fled away, sitting in their cars. Thereafter I immediately informed Police Help Line (15). 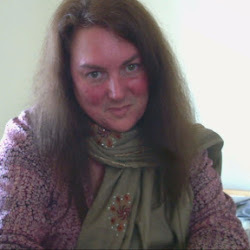 Now having present, complain that the above said accused, who used to threats me on phone, they tried to kidnap me today. Investigation may kindly be initiated. This case has been registered in the Book of 154 Cr.P.C. The provision of Section 157 Cr.P.C. is being complied. The copy of F.I.R. is being submitted in the competent Court of Law and all the concerned authorities. I am myself busy in the investigation of the case. Advocate Veerji Kolhi has issued a most urgent appeal for the relief of the 72 victims of Bonded Labor who were recently released by order of the High Court of Sindh. Certified Copies of Contempt of Court Documents pending. CONTEMPT OF COURT PROCEEDINGS ARE CURRENTLY IN PROCESS. Sixteen Days have passed and these victims are still waiting for Government Welfare Agencies to provide them with proper food, water and shelter as is required by the 1992 Bonded Labor Abolition Act. These victims lives have been threatened if they attempt to return to their native villages! Advocate Veerji Kolhi also received death threats for representing their case and speaking out for Hindus in Bonded Labor situations in addition to speaking out for Hindu Minority Rights. Their pleas for relief are being currently refused and ignored due to the month of RAMZAN that is currently being observed by Muslims which does not allow relief in the form of food or water to be given to Non Muslims. These victims are being expected to wait for a one month period of time before any relief can be issued! This is an outrageous expectation considering that there are pregnant women and new mothers among these victims! The danger of starvation is looming since volunteers can no longer afford to bring provisions nor finance the care and upkeep of these victims which can last for up to one year. This refusal of aid for observance of RAMZAN and lack of commitment to this cause due to the victims Non Muslim identification, all being Hindus, has been stated by the Welfare agencies to Advocate Veerji Kolhi as the reason why these 72 victims who are still dwelling currently outside on the footpath of the Hyderabad Press Club after 16 days of waiting in the open sky and exposed to the harsh weather conditions in Sindh. Among the victims there are two women who are pregnant. Another mother just gave birth to a baby under these horrible conditions! Numerous Human Rights Violations are being committed by the Governments of Sindh and Pakistan by not complying to the High Court order. This most urgent appeal is in process of being filed with Global Human Rights Organizations. Pressure will be placed on the court and government Welfare agencies who bear the responsibility to provide for the basic needs of these victims by order of the High Court of Sindh and in accordance with the Universal Declaration of Human Rights as mandated by the United Nations! •All human beings are born free and equal in dignity and rights.They are endowed withreason and conscience and should act towards one another in a spirit of brotherhood. •Everyone has the right to life, liberty and security of person. •No one shall be held in slavery or servitude; slavery and the slave trade shall be prohibited in all their forms. •No one shall be subjected to torture or to cruel, inhuman or degrading treatment or punishment. •All are equal before the law and are entitled without any discrimination to equal protection of the law. All are entitled to equal protection against any discrimination in violation of this Declaration and against any incitement to such discrimination. •Everyone has the right to an effective remedy by the competent national tribunals for acts violating the fundamental rights granted him by the constitution or by law. •Everyone is entitled in full equality to a fair and public hearing by an independent and impartial tribunal, in the determination of his rights and obligations and of any criminal charge against him. •(1) Everyone charged with a penal offence has the right to be presumed innocent until proved guilty according to law in a public trial at which he has had all the guarantees necessary for his defence. •(2) No one shall be held guilty of any penal offence on account of any act or omission which did not constitute a penal offence, under national or international law, at the time when it was committed. Nor shall a heavier penalty be imposed than the one that was applicable at the time the penal offence was committed. •No one shall be subjected to arbitrary interference with his privacy, family, home or correspondence, nor to attacks upon his honour and reputation. Everyone has the right to the protection of the law against such interference or attacks. •(1) Everyone has the right to freedom of movement and residence within the borders of each state. •(2) Everyone has the right to leave any country, including his own, and to return to his country. •(1) Everyone has the right to seek and to enjoy in other countries asylum from persecution. •(2) This right may not be invoked in the case of prosecutions genuinely arising from non-political crimes or from acts contrary to the purposes and principles of the United Nations. •(1) Everyone has the right to a nationality. •(2) No one shall be arbitrarily deprived of his nationality nor denied the right to change his nationality. •(1) Men and women of full age, without any limitation due to race, nationality or religion, have the right to marry and to found a family. They are entitled to equal rights as to marriage, during marriage and at its dissolution. •(2) Marriage shall be entered into only with the free and full consent of the intending spouses. •(3) The family is the natural and fundamental group unit of society and is entitled to protection by society and the State. •(1) Everyone has the right to own property alone as well as in association with others. •(2) No one shall be arbitrarily deprived of his property. •Everyone has the right to freedom of thought, conscience and religion; this right includes freedom to change his religion or belief, and freedom, either alone or in community with others and in public or private, to manifest his religion or belief in teaching, practice, worship and observance. •Everyone has the right to freedom of opinion and expression; this right includes freedom to hold opinions without interference and to seek, receive and impart information and ideas through any media and regardless of frontiers. •(1) Everyone has the right to freedom of peaceful assembly and association. •(2) No one may be compelled to belong to an association. •(1) Everyone has the right to take part in the government of his country, directly or through freely chosen representatives. •(2) Everyone has the right of equal access to public service in his country. •(3) The will of the people shall be the basis of the authority of government; this will shall be expressed in periodic and genuine elections which shall be by universal and equal suffrage and shall be held by secret vote or by equivalent free voting procedures. •Everyone, as a member of society, has the right to social security and is entitled to realization, through national effort and international co-operation and in accordance with the organization and resources of each State, of the economic, social and cultural rights indispensable for his dignity and the free development of his personality. •(1) Everyone has the right to work, to free choice of employment, to just and favourable conditions of work and to protection against unemployment. •(2) Everyone, without any discrimination, has the right to equal pay for equal work. •(3) Everyone who works has the right to just and favourable remuneration ensuring for himself and his family an existence worthy of human dignity, and supplemented, if necessary, by other means of social protection. •(4) Everyone has the right to form and to join trade unions for the protection of his interests. •Everyone has the right to rest and leisure, including reasonable limitation of working hours and periodic holidays with pay. •(1) Everyone has the right to a standard of living adequate for the health and well-being of himself and of his family, including food, clothing, housing and medical care and necessary social services, and the right to security in the event of unemployment, sickness, disability, widowhood, old age or other lack of livelihood in circumstances beyond his control. •(2) Motherhood and childhood are entitled to special care and assistance. All children, whether born in or out of wedlock, shall enjoy the same social protection. •(1) Everyone has the right to education. Education shall be free, at least in the elementary and fundamental stages. Elementary education shall be compulsory. Technical and professional education shall be made generally available and higher education shall be equally accessible to all on the basis of merit. •(2) Education shall be directed to the full development of the human personality and to the strengthening of respect for human rights and fundamental freedoms. It shall promote understanding, tolerance and friendship among all nations, racial or religious groups, and shall further the activities of the United Nations for the maintenance of peace. •(3) Parents have a prior right to choose the kind of education that shall be given to their children. •(1) Everyone has the right freely to participate in the cultural life of the community, to enjoy the arts and to share in scientific advancement and its benefits. •(2) Everyone has the right to the protection of the moral and material interests resulting from any scientific, literary or artistic production of which he is the author. •Everyone is entitled to a social and international order in which the rights and freedoms set forth in this Declaration can be fully realized. •(1) Everyone has duties to the community in which alone the free and full development of his personality is possible. •(2) In the exercise of his rights and freedoms, everyone shall be subject only to such limitations as are determined by law solely for the purpose of securing due recognition and respect for the rights and freedoms of others and of meeting the just requirements of morality, public order and the general welfare in a democratic society. •(3) These rights and freedoms may in no case be exercised contrary to the purposes and principles of the United Nations. •Nothing in this Declaration may be interpreted as implying for any State, group or person any right to engage in any activity or to perform any act aimed at the destruction of any of the rights and freedoms set forth herein. How Will These Mothers Feed Their Children? Respect implies that states must never arbitrarily prevent people from having access to food. Protect means that states should take measures to ensure that enterprises or individuals do not deprive individuals of their access to adequate food. Fulfill (facilitate and provide) entails that governments must pro-actively engage in activities intended to strengthen people’s access to and utilization of resources and means to ensure their livelihood, including food security. 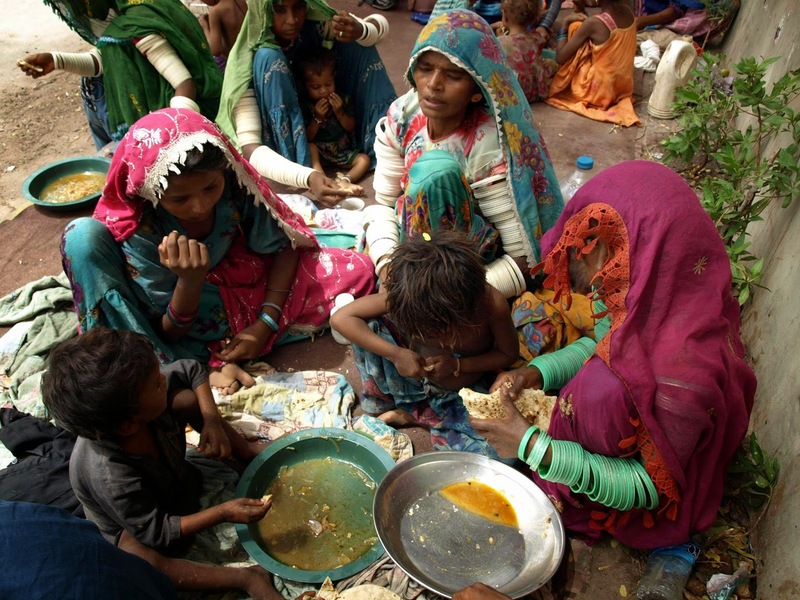 If, for reasons beyond their control such as at times of war or after a natural disaster, groups or individuals are unable to enjoy their right to food, then states have the obligation to provide that right directly.